Ans : : Air is what we breathe. Air is what support’s life on planet Earth. Air is what the plants need to grow. The air is all around us. In Fact, air surrounds planet Earth like a blanket. Also known as the Earth’s atmosphere, the air is made up of many gases like Oxygen, carbon-dioxide, Nitrogen, trace elements like Chlorine, Sulphur and Fluorine. It also has traces of water in the form of water vapor. 2. Can we see air? Ans: We cannot see air as it is made up of colorless gases. In fact, Nitrogen, a colorless gas, is made for 78 percent of the air that we breathe. Hence, no color is reflected and we cannot see air with the naked eye. We can, however, experience the presence of air around us in the movement of objects like trees, clothes and flags, which move or bend in the direction of winds and breezes. 3. Why do we sweat? 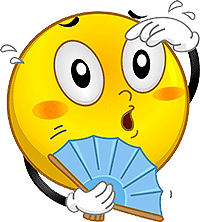 By sweating, the body regulates body temperature. When the body gets heated, then we sweat and release moisture in the form of tiny droplets of water that cools the body as it evaporates. We also set to release substances that our body does not require. The eccrine glands are under the arms and produce a fluid that comes out of the skin pores, Creating wetness. There are apocrine glands over the rest of our skin that release secretions. These are broken down by bacteria on the skin surface. Our body, usually gets rid of waste material through urine and excreta and through the nose (in case of a bad cold). Sometimes, when this is not enough, the waste material is released through sweat. Sweat can also smell strongly depending on our diet and state of health. The maximum number of sweat glands is found on the palms and soles – almost 3,000 to the square inch, six times as much when compared to the rest of the body. 4. How is wind generated ? Ans : Some parts of the Earth receive direct rays from the sun throughout the year and the air is always warm. Other places receive less sunlight. So the air is cooler. Wind is generated when air comes into motion. Warm air weighs less than cold air and thus above. Then, cool air moves in and replaces the rising warm air. This movement of air results in winds. 5. Is light white in colour? Ans: White is not the fundamental color of light, but is a spectrum of many colors. This was aptly demonstrated by the great scientist Newton . He passed white through a prism and observed that the white beam of light split into a band of many colors. 6. How does a rainbow form ? 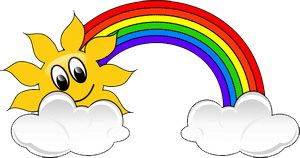 Ans : A marvel of nature., the rainbow is an arc of light composed of a spectrum of colors, such as, red. Orange, yellow, green, blue, indigo and violet. These colors make up the sun’s white light. A rainbow is seen when the sun shines after the rain. When sunlight passes through a raindrop, It bends and scatters into its band of colors. These colors are then reflected from the back of the raindrop. These colors bend again as they pass through the front of the raindrop, and hence the curved rainbow is formed. 7. Why does water dry out in puddles? Ans: When the sun shines, the water in the puddles changes its physical form from liquid to gas. This process is called evaporation. Hence, we say that water evaporates from the puddles, and changes to water vapor that mixes with the air. This is the same principle that also works when we dry our wet clothes in the sun. 8. Why are slides slippery? Ans : While sliding our bodies constantly rub against the slide surface. If the surface is rough, sliding will not be smooth because the resistance or friction will be more. 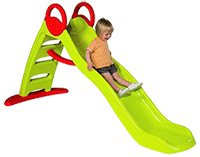 Hence, slides are made slippery to reduce the friction or resistance. Material , such as, if used for slides, will offer less resistance than cement or rough plastic. 9. How do magnets help explorers? Ans : Magnets have been adapted in the form of a magnetized needle or compass that guides navigators and explorers to find their way when they travel. Our planet Earth has her own magnetides field, with two poles. North and South. 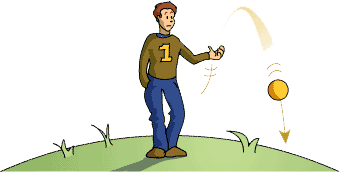 When we look at magnetic compass, the Earth’s magnetic field causes the magnetised needle to automatically swing in the direction North-South. The next time you are out for an adventure, don’t forget to carry a magnetic compass along with a route map to find your way! 10. How can we see our image in the mirror? Ans: Mirrors have surfaces that are extremely smooth and polished. When light falls on such surfaces, It bounces back or reflects completely. So, reflected by us bounces back from the mirror surface, and we see our clear image. 11. Why can’t we see in the dark? Ans : We are able to see images because of a complex interaction between light coming from a source, our eye structure and the brain. When there is no light source, The objects do not reflect any light. Hence, there is no signal from the environment for the eye to send to the brain. This result in our complete failure to see. We can, however, see in the dark with a dim source of light. But, in such cases, our color perception is affected, and we see things in black and white. 12. When we slip, why do we fall down and not to go up? Ans : IT would be an unusual sight to see things going up rather than down when dropped or left suspended! But it is because of the Earth’s gravity, a force that pulls things towards it countries that we all fall down when we slip. 13. Can we see electricity? Ans : We cannot see electricity, but we see its impact on our lives. There is nothing mysterious about why we cannot see electricity. It's made up of extremely tiny particles known as electrons. Electrons are invisible and consequently, so is electricity. 14. Why do fizzy drinks have bubbles? Ans : In order to add fizz or forth to drinks, a gas called carbon-dioxide is mixed into the drink. While mixing the gas, high pressure is built in the drink can as the gas gets trapped in the closed space. When the drink can is opened, the trapped gas molecules escape, creating bubbles.